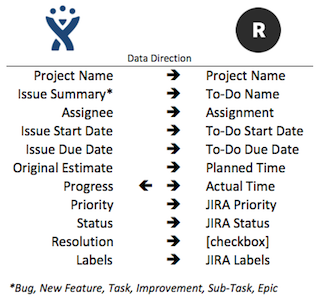 JIRA is great for project teams, but it does not natively support resource forecasting and time tracking. The Roadmap add-on allows you to manage the inputs required to forecast resources and track time . . . all without having to leave JIRA. The integration with JIRA supports sending the following items, and further below is a hands-on video tutorial.